The Block week one winners Dean and Shay. TEAMS exceeded expectations in their first room deliveries on The Block tonight. Grappling with oddly-angled spaces, all five teams finished their master bathrooms on time. 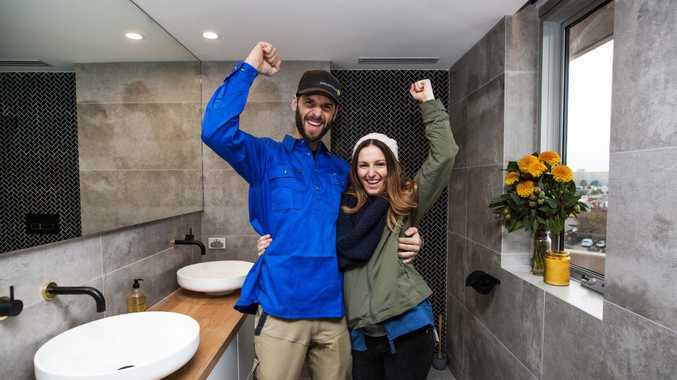 The Newcastle couple Dean and Shay won the week and $10,000 for their refined, penthouse en-suite. They needed the win to help offset the $40,000 they spent on the room, $25,000 more than their original $15,000 budget. It is the most expensive bathroom ever seen in the show's 11 seasons. "Now this is the business," judge Neale Whitaker said. Dean and Shay's winning master bathroom. "There's a level of sophistication in here I haven't seen in any of the other bathrooms today." Shay's attention to detail - she even sourced matte black toilet paper to match their fixtures - set them apart from the other four teams. "There is an astonishing level of precision and sophistication here for week one in the competition. That to me is quite mind-blowing." 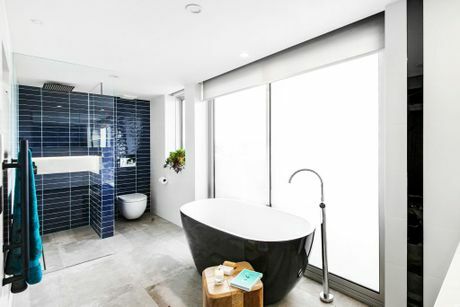 Townsville parents Kingi and Caro finished second and had the most eye-catching bathroom thanks to their graffiti bathtub. The couple had an eventful reveal day when their glass shower screen shattered as it was being installed. A replacement screen was delivered and installed with just minutes to spare. 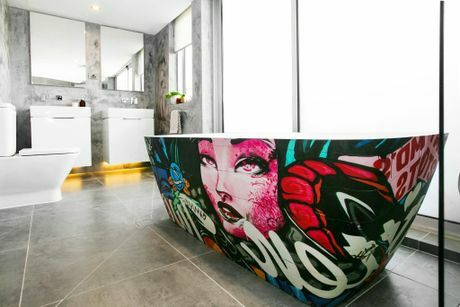 Kingi and Caro's urban-themed master en-suite with graffiti bathtub. 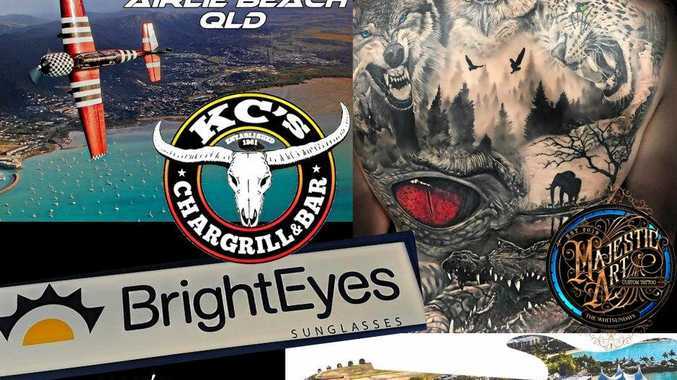 "How exciting, I love it," judge Shaynna Blaze said. "We haven't seen that before and that really excites me." Kingi was praised for his rendering skills while Caro's styling had room for improvement. 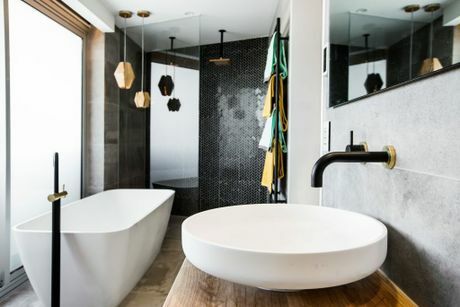 The main en-suite renovations were a chance for redemption for Luke and Ebony. The WA siblings were eliminated from the Triple Threat season on the back of an incomplete bathroom. Their light and bright room did break their bathroom curse, although it wasn't enough to keep them off the bottom of the leaderboard. Luke and Ebony break their bathroom curse. Their choice to square off the room came at the price of space. "It feels quite small," Whitaker said. "It's one of those bathrooms I really, really, really want to like it. The more I look around the more I see things that worry me, like these basins that are way too small." Melbourne lovebirds Andrew and Whitney also hoped to redeem themselves from their shocking 24-hour challenge room, which Whitaker deemed the worst room he'd ever seen on The Block. 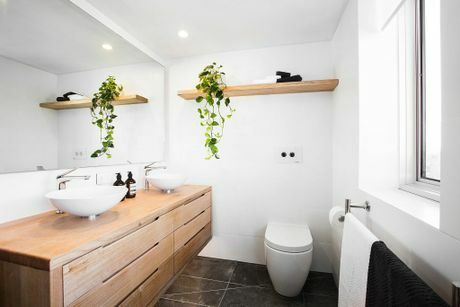 They put the judges in a head spin with their dramatic turn-around and near-perfect bathroom. "From zero to hero in one week," Whitaker said. "Hang on my head is spinning. "They've wowed us with the big-ticket items in here." 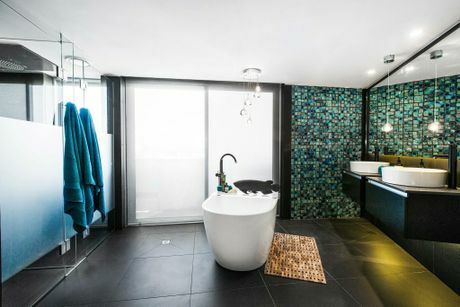 Gold Coast mums Suzi and Vonni hoped to bedazzle with LED pendant lights and a 3D tile feature wall. Whitaker and Darren Palmer likened it to a cross between a hotel bathroom and a night club but praised the women for their sense of glamour. While Suzi and Vonni won points for orienting the shower near the window, they lacked any sort of window treatment for privacy. Gold Coast mums Suzi and Vonni brought some glamour to The Block. The women also under-delivered on practical features, like storage and the placement of their pendant lights. This upcoming week the teams will renovate their guest bedroom and en-suite. The Block airs Sundays at 7pm and Mondays to Wednesdays at 7.30pm on Channel 9/WIN.